Bootstrap is one of the most popular front-end libraries which provides a customizable template of HTML, CSS, and JS for creating a modern and responsive website. All the nice website you see these days with large fonts and slick form fields are built using Bootstrap. If you want to learn Bootstrap and looking for some good online courses then you have come to the right place. In this article, I am going to share some of the awesome Bootstrap courses which are also free and you can use them to kick-start your journey with the Bootstrap framework. If you are interested in modern web development this is the framework you must learn this year. As I have said before, web development is an important skill and front-end development is one of an integral part of web development. Traditionally, programmers work with the backend, creating servers which powers front-end and GUI Designers are responsible for creating front-end GUI, but things have changed a lot. Nowadays, everyone needs a full stack engineer, who can work with both front-end and back-end and this means you not just need to learn backend framework like Spring and Spring Boot (for Java developers) but also need to learn front-end frameworks like Bootstrap. Before we start with these online courses to learn Bootstrap, let me give you a bit of history of Bootstrap framework. It came from Twitter, one of the popular social media website. It was originally named as Twitter Blueprint and development by Mark Otto and Jacob Thornton at Twitter as a framework to encourage consistency across internal tools. But, after its success, it was renamed from Twitter Blueprint to Bootstrap, and released as an open source project on August 19, 2011. Though, if you are new into Web Development, I suggest you check The Web Developer Bootcamp course by Colt Steele on Udemy. It's a great resource for any beginner Web Developer and not just teach Bootstrap but also all other technologies any web developer would need. Here is my list of some of the best courses to learn Twitter Bootstrap framework from scratch. These courses are free but it doesn't mean that they are of poor quality. In fact, some of the courses are better than other paid courses. They are just made free by their instructor for promotional and educational reasons. 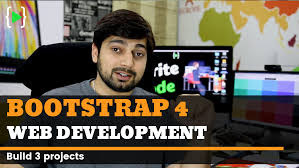 This is one of the best free course to learn Bootstrap 4 in 2019. It's comprehensive, hands-on and also interesting to watch. 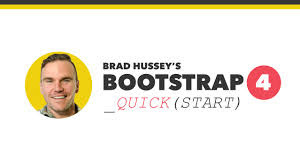 The instructor Brad Hussey has done a great job in explaining how to create responsive websites in Bootstrap 4. You will first start with downloading and installing Bootstrap and then set up an efficient website workflow. After that, you will learn how to create a basic, responsive website, how to use a Bootstrap template, how to create a modern startup landing page and using Saas in your project. In short, a perfect course to learn Bootstrap in quick time for free. This is one of the comprehensive course to learn Bootstrap framework. It's packed with 5 hours of content which are divided into 36 lectures. You will first start with Bootstrap fundamentals and slowly you will start building projects to apply the knowledge you have learned in the course. You will build not just one but three projects. You will not just learn how to install Bootstrap and set up your development environment but also learn Bootstrap navigation, Flexbox grid, containers, and other important concepts. In short, a perfect course to learn and master Bootstrap for free of cost. AS the name suggests this is a classic hands-on course to learn Bootstrap framework. In this course, instructor Gary Simon will teach you how to download and install Bootstrap using Node Package Manager (npm). He will also tell you how to set up your development environment using Gulp. After that, you will learn how to build a responsive layout using Bootstrap 4. It also covers advanced topics like customizing Bootstrap in Saas. Overall a nice little, hands-on course of 1-hour content where you will learn Bootstrap by actually doing some work. So, skip those boring courses full of slides and learn Bootstrap 4 by doing! Grids and columns are an important part of Modern Web GUI and this short course is best to learn BootStrap Grids and Columns. This is just a 40-minute course but teach you how to build content layouts with Bootstrap grid system. 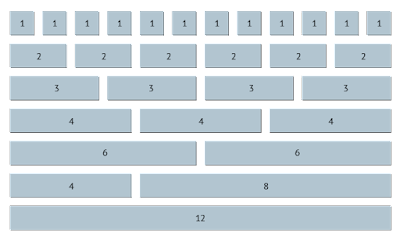 Once you master grid and columns in Bootstrap it will save a lot of your web development time. This is another great course to learn Bootstrap by Scott Allen. As I have said before, Bootstrap is a sleek, intuitive, and powerful front-end framework for faster and easier web development and this course website also uses Bootstrap. This is not exactly a free course as you need Pluarlsight membership to access this course but don't worry. If you don't have a Pluarlsight membership you can still access this course by signing up for a 10-day free trial, which is more than enough to complete this course. That's all about some of the best free Bootstrap courses to learn this useful skill online by yourself. Bootstrap is a powerful front-end framework and there is a lot of demands for web developers and web designers who know Bootstrap. If you are looking for a job in web design or front end development space or would like to start your own web development project, good knowledge of Bootstrap will go a long way to support your goal. Thanks for reading this article so far. 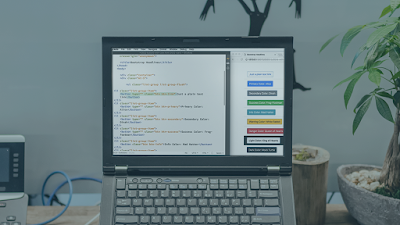 If you like these free Bootstrap courses then please share with your friends and colleagues. If you have any questions then please drop a note.